Shady River, a fun get-away for the entire family! If you are looking for a quiet fun place to get-away from the day to day hustle and bustle of life then look no further. 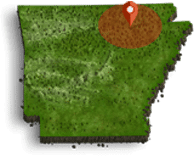 Shady River features cottages on a scenic bluff overlooking the beautiful spring fed Eleven Point River in the majestic Ozark Mountains of North Arkansas. Shady River is not far from Pocahontas Arkansas but far away from town to offer a wonderful place to relax and enjoy the beautiful scenery and wildlife that will make you want to stay forever! Each of the cabins offers free Wi-Fi internet and all the furnishings and amenities for a wonderful stay. You will want to take time for a relaxing bath right on the back private deck of each cottage. You can kick back and soak in a warm bath while watching the beautiful scenery and listening to the sounds of nature that will have you free from all the stress of day to day life! You will find beautiful picnic sites, a 1/8 mile long island, gravel bars, and a bluff overlooking the boat landing. Each cabin has an electric kart that helps you roam around the area and the hiking trails will let you reconnect with nature and see even more of the area’s wildlife. You will also have access to a canoe, kayaks, and of course those fun tubes for relaxing in the cool river! Once you stay at Shady River you may find it hard to leave! The beautiful location, wonderful amenities and chance to enjoy the beautiful Eleven Point River will make you call this destination home! Come visit us and get ready to enjoy the beautiful Ozark Mountains! For more information visit: www.shadyriverark.com.